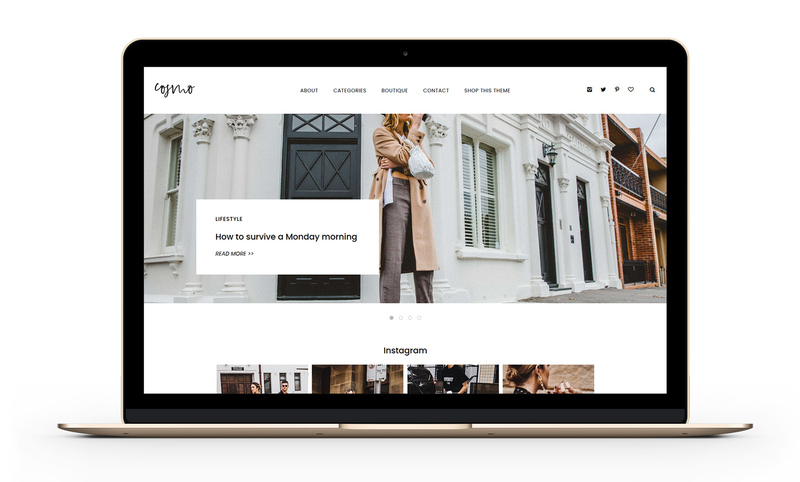 A fully-featured and carefully designed WordPress theme for lifestyle and fashion bloggers, with various customization options and a minimal, but elegant look and feel. 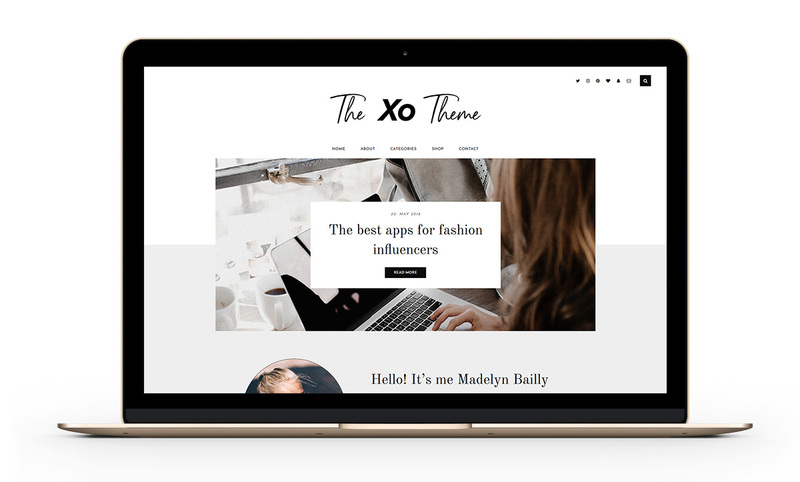 A minimal but super versatile WordPress Theme for lifestyle blogs. Make use of the left/right blog layout plus sidebar and show your posts in different locations with the included Posts Widget. 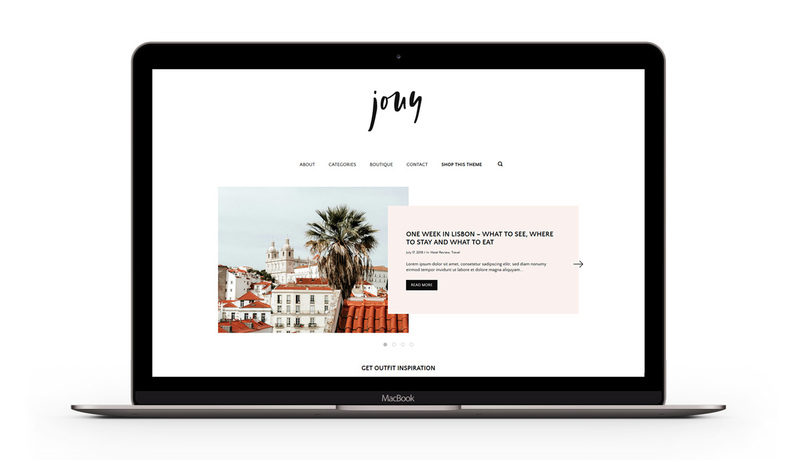 A customizable Fashion Magazine Theme, perfect for fashion, travel and lifestyle bloggers who want to showcase their images. Offers six different homepage and single post layouts. A stylish WordPress Theme with 3 different featured header sections (slider, featured posts or grid) and a customizable homepage layout. Perfect for you if you are looking for a cool yet chic theme with many possibilities. 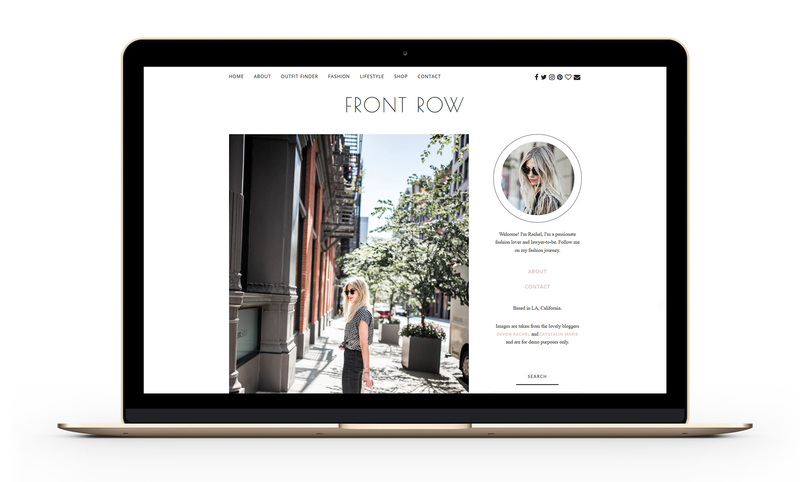 A minimal, but chic theme for fashion, lifestyle and beauty bloggers. It features different ad spaces and shopping widgets next to a popular posts widget and a customizable profile section. A very clean and easy to style Genesis child theme. Let your readers shop your posts directly from the homepage or archives pages with in-built shopping widget sections and a customizable sidebar. A feminine and chic Genesis child theme perfect for lifestyle and beauty bloggers. It offers many widgets to customize the sidebar and an Instagram integration at the bottom.